Listen clear with iPhone hearing aids. 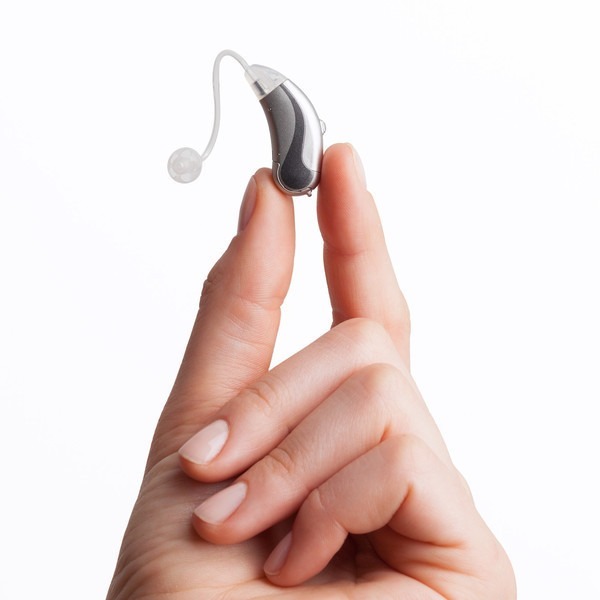 Hearing aids are sound-amplifying devices designed to aid people who have a hearing loss or impairment. 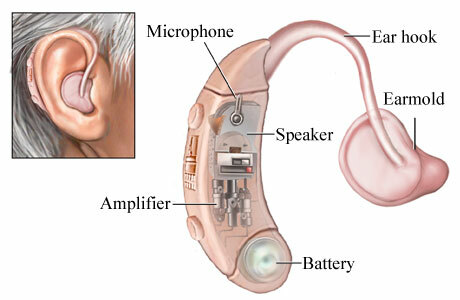 Most hearing aids share several similar electronic components, including a microphone that picks up sound; amplifier circuitry that makes the sound louder; a miniature loudspeaker (receiver) that delivers the amplified sound into the ear canal; and batteries that power the electronic components. 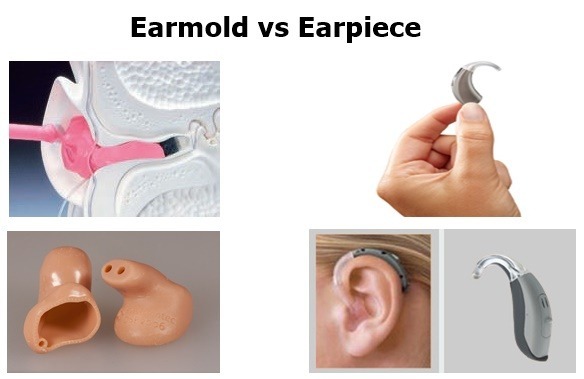 Some hearing aids have earmolds or earpieces to direct the flow of sound into the ear and enhance sound quality. The selection of hearing aids is based on the type and severity of hearing loss, listening needs, and type of lifestyle. Analog hearing aids make continuous sound waves louder. These hearing aids essentially amplify all sounds (e.g., speech and noise) in the same way. Some analog hearing aids are programmable. They have a microchip which allows the aid to have settings programmed for different listening environments, such as in a quiet place, like at a library, or in a noisy place like in a restaurant, or in a large area like a soccer field. The analog programmable hearing aids can store multiple programs for the various environments. As the listening environment changes, hearing aid settings may be changed by pushing a button on the hearing aid. Analog hearing aids are becoming less and less common. 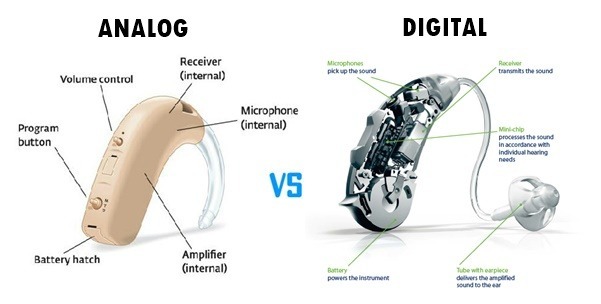 Digital hearing aids have all the features of analog programmable aids, but they convert sound waves into digital signals and produce an exact duplication of sound. Computer chips in digital hearing aids analyze speech and other environmental sounds. The digital hearing aids allow for more complex processing of sound during the amplification process which may improve their performance in certain situations (for example, background noise and whistle reduction). They also have greater flexibility in hearing aid programming so that the sound they transmit can be matched to the needs for a specific pattern of hearing loss. Digital hearing aids also provide multiple program memories. Most individuals who seek hearing help are offered a choice of only digital technology, simply because they most likely come equipped with bluetooth technology, and can be operated using smartphone applications to listen clear with iPhone hearing aids. What are some features of hearing aids? 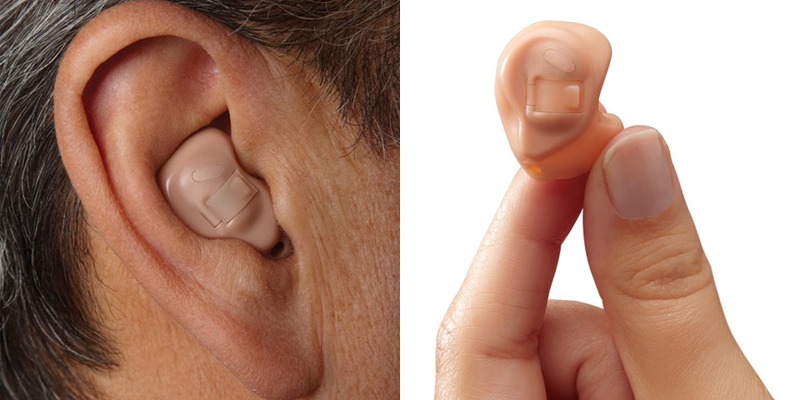 Hearing aids have optional features that can be built in to assist in different communication situations. For example: Directional microphone may help you converse in noisy environments. Specifically, it allows sound coming from a specific direction to be amplified to a greater level compared to sound from other directions. When the directional microphone is activated, sound coming from in front of you (as during a face-to-face conversation) is amplified to a greater level than sound from behind you. The T-coil works well in theaters, auditoriums, houses of worship, and other places that have an induction loop or FM installation. The voice of the speaker, who can be some distance away, is amplified significantly more than any background noise. 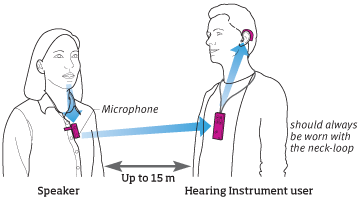 Some hearing aids have a combination “M” (Microphone) / “T” (Telephone) switch so that, while listening with an induction loop, you can still hear nearby conversation. Direct audio input allows you to plug in a remote microphone or an FM assistive listening system, connect directly to a TV, or connect to other devices such as your computer, a CD player, tape player, radio, etc. Feedback suppression helps suppress squeals when a hearing aid gets too close to the phone or has a loose-fitting earmold. Hearing aids with more complicated features may be best to meet your particular pattern of hearing loss. They may also improve their performance in specific listening situations; however, these sophisticated electronics may significantly add to the cost of the hearing aid as well. It is advisable to consult with an audiologist about custom hearing aid devices, or refer to thishearing aids buying guide courtesy of Consumer Reports. Listen clear with iPhone hearing aids.